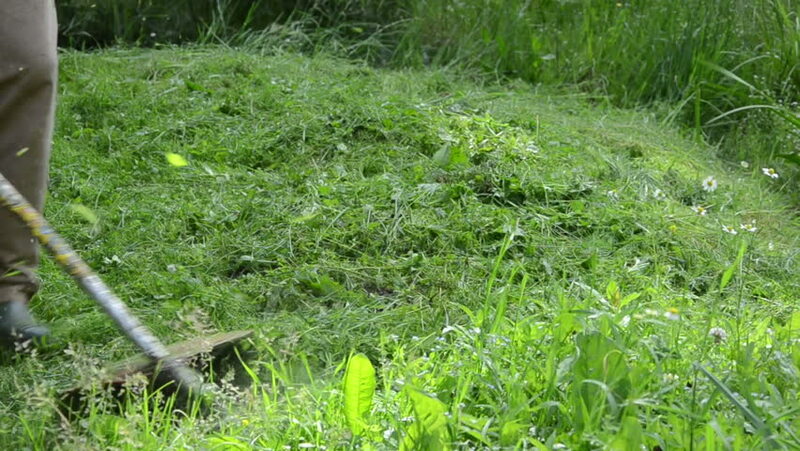 Closeup of meadow grass and gardener worker man with trimmer cutter cut it scene. 4k00:28Aerial view of car driving on gravel road through meadows. Transporting bicycle and kayak on the car roof. Drone chasing a car.